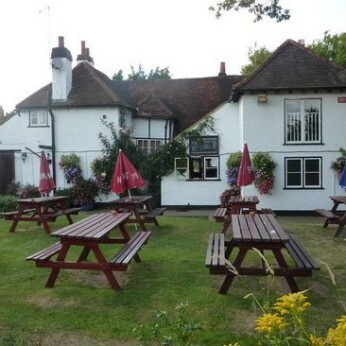 The Green Man in Hurst is a fine example of a Traditional English Country pub. It was awarded its first license in the 1600's and have been serving thirsty travelling tradesmen and villagers ever since. Our Kitchen proudly offers traditional British fare with a focus on seasonality. We use the finest ingredients sourced mostly from local suppliers and producers and freshly cook everything for lunch and dinner every day. During those rare summer months, you are welcome to enjoy our extensive beer garden with a play area to keep the children entertained and plenty of space in the shade if the sun gets too hot!